Every year from 1922 until 1934 the Western Association of Motion Picture Advertiser's (WAMPAS) chose thirteen "Baby Stars" to honor. They believed these beautiful young actresses were destined for stardom. 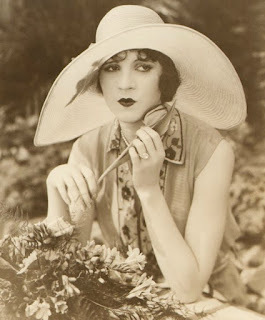 In 1925 Olive was chosen to be a Baby Star and the publicity helped her land a contact at 20th Century Fox. 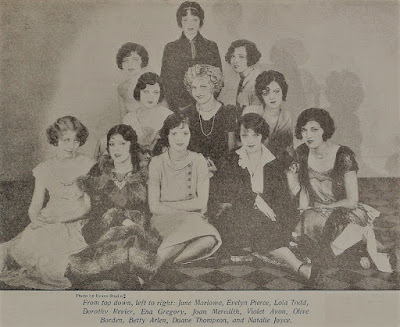 The other twelve actresses were Natalie Joyce (Olive's cousin), Madeline Hurlock, Betty Arlen, Ena Gregory, Joan Meredith, Lola Todd, Violent Avon, June Marlowe, Duane Thompson, Anne Cornwall, Evelyn Pierce, and Dorothy Revier.